The forces of the Daeva-Ra have been routed, and the daemons of Halca have become a part of the underground city of Bastion. For many war-weary humanva and daemonva, the future is bright and happy. But for the meldling Suzanna, there can be no peace. The sorcerer Dariem still works his evil magic, and scores of unstable meldlings are appearing all across the humanva realm. These twisted, violent creatures, created from a fusion gone wrong of a daemon or daeva with a human, attack with suicidal fury and kill everything in their path. It falls to her to stop him before his deranged army destroys the fragile peace between the survivors of the daemonva war. But the only clues to his whereabouts lie in the fragmented mind of a daeva meldling, wearing the armor of a knight. Suzanna must follow the trail to Dariem wherever it leads. 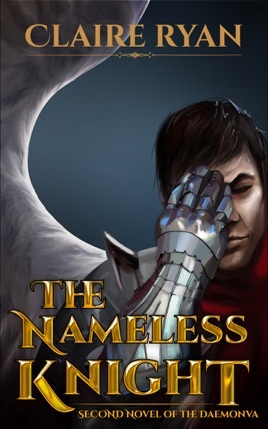 The nameless knight will show her the way - but only if he doesn't become an unstable beast first. This journey is a gift! "Would they accept you as you are?' 'I don't know. They want glory against the daevas, not patrol duty for the Outpost. But I don't want to lead,Cedric. I don't know how to be what they want.' 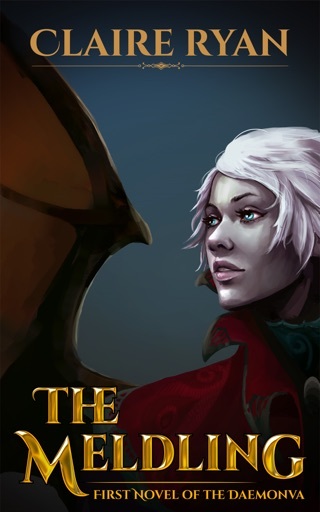 'I think you will be whatever you want to be...'"
The "Second Novel of the Daemonva" by Claire Ryan is even more compelling than the first, as Suzanna begins to fight back from the hold this new power has over her. It is a quest of the heart as well as of the spirit as the one of her heart, Cedric aka Lukas is one her Maker wishes to use in the same way. Her survival is a blessing. Her revenge is righteous. The outcome is unexpected and moves us forward toward the final book set to come out this spring. Another example of my teetering TBR pile, I am again kicking myself for not reading this the minute it arrived. I often have one paper book going along with eBooks to take with me when I can't take the eReader. However, I rarely set aside the eReader to concentrate solely on the book, something I have done in this instance as I cried and cheered my way through this absorbing story. Aven-Ra! Highly recommended.